I don’t know about you, but I’ve got a stack of toddler art that has had its time on the front of the fridge then gets put into a drawer – and then that drawer starts overflowing. Sometimes I cut out parts of the tot’s art for creating homemade cards, but there is usually still a lot of creations that either need to be chucked or repurposed in some creative way. After watching the morning episodes of Curious George and Cat in the Hat, some sort of crafting show usually comes on. Today happened to be quilting, and the tot was mesmerized. What is that, what is that, what is thaaaaaaaaaat?! She pulled up a chair to the table and waited while I figured it all out. And, in that moment, I did. 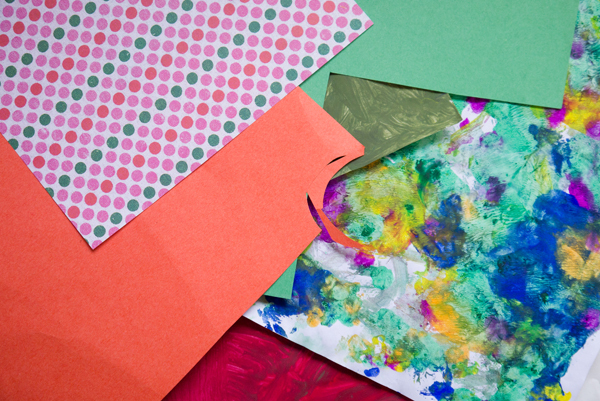 I tugged open that overflowing toddler art drawer, pulled out several creations – along with some scrap paper – and started cutting out squares. If you’ve got a kid that’s old enough to wrangle the scissors, this is a great opportunity to hone those skills. 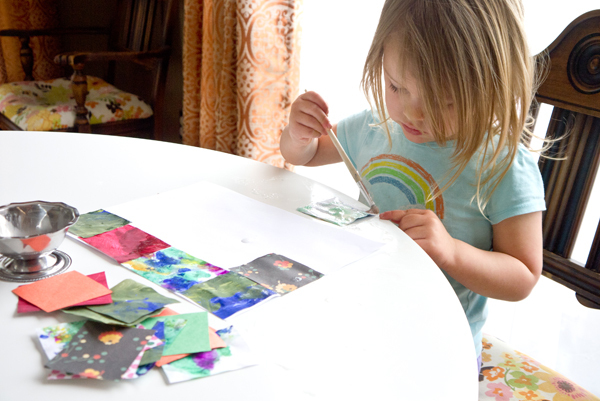 Offer your child a square-shaped object to use as a template. Encourage your child to trace around the shape and then cut out lots and lots of squares from the papers. I used a square cut from some scrap cardboard for cutting mine. Now mix together equal parts glue and water and get out a sheet of white paper. 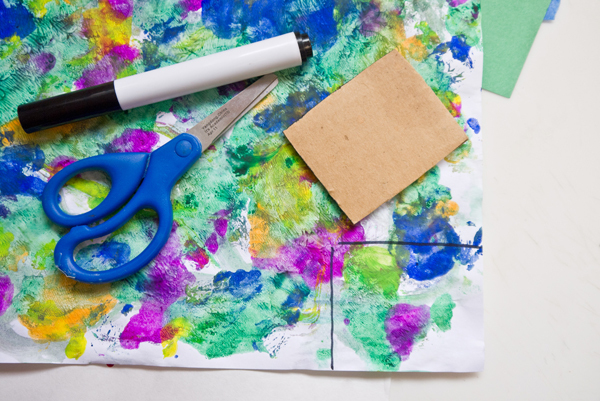 Invite your child to paint the backs of the papers and then press on the paper creating rows of squares, just like a quilt. I was amazed with how my daughter really got into this project. She concentrated on painting the entire backside of each square and then carefully positioned the square of paper, creating a finished paper scrap quilt just like the fabric ones she had seen on the big TV. And, as soon as she was finished with this one, she wanted to make more, more, more. For fun, have each member of the family make their own quilt square and then tape them all together for a big paper scrap quilt. 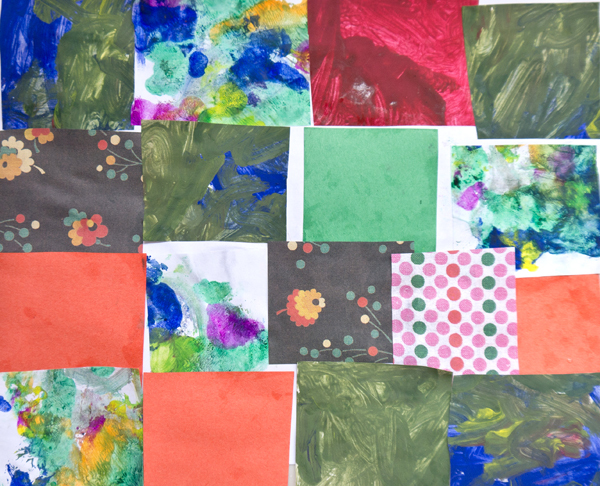 Or encourage your child to create a pattern or design within the paper scrap quilt.